Tech-On: Sony demonstrated high-throughput holographic storage system. The system employs a CMOS sensor featuring a frame frequency of 1.5 kfps. The sensor been adopted to increase the data transfer rate at the time of playback. The pixel count is 512 x 512. The data transfer rate at the time of playback increases as the frame frequency of CMOS sensor that receives the reproduced signal light and converts it into an electric signal is enhanced. Incidentally, Cypress demonstrates custom-made fast image sensor designs, including a sensor for holographic data storage. Looks like fast sensors are becoming the new design frontier. E2V announced a new generation of high-sensitivity imaging sensors leveraging circuit layer transfer technology from Tracit Technologies, a new division of the Soitec Group. Combining e2v’s expertise with Tracit’s circuit layer transfer technology delivers back-illumination capability to medium volume markets. This technology produces a dramatic improvement in sensor sensitivity when compared to a standard front-illuminated sensor. The sensor is intended for professional market applications. Also, E2V sees a great potential to use the similar solution in small-pixel CMOS sensors. It looks like the former Atmel image sensor group, aquired by E2V, is responsible for this technology development. Digitimes: After taking an over 77% stake at Taiwan Advanced Sensors in mid-April, Alcor Micro has an accumulated stake of 84.57% at the company. The Alcor Micro board of directors has approved a merger between the two parties with Alcor Micro to serve as the surviving company, to be effective on September 1. Taiwan Advanced Sensors currently contributes about 5-10% of Alcor Micro's sales, equivalent to NT$10 million (US$300,752), said Alcor Micro company general manager Chi-Tung Chang. Alcor Micro anticipates a positive sales contribution should be seen in the fourth quarter, given that Alcor Micro has extended its presence in the web cam market, beyond its original controller business. Still, there are some natural IP groupings. For instance, virtually everyone acknowledges that sensor manufacturers should perform corrective processing and data conversion to generate digital raw-pixel data because they know the peculiarities of their sensors. After that stage, things become complicated, however. Tessera Director of Technical Strategy Christopher Aubuchon explains that there are many approaches to EDOF implementation, trading off lens complexity for computational demands for image quality. It is possible to end up with a very demanding lens design, large computational requirements, or seriously compromised image SNR. It is also possible to find a local optimum that matches the needs of a particular OEM. “There is not much motivation for a high-end DSC or even high-end-handset manufacturer to eliminate mechanical focus,” admits Tessera’s vice president of corporate development, John Keating. “But in the midrange—feature phones, for example—where image quality is important but a very small module is equally important—there is fertile ground for this technology. In the long run, I think you will see EDOF penetrate some of the DSC market, as well.” Each of these markets may use a different lens design with a different image-reconstruction algorithm. The conference is mainly devoted to niche applications image sensors, for those who might have interest in this. One exception is Sony's invited paper on high-end still image sensors. Solid-State Technology devotes its recent Chip Forensics column to reverse engineering of legendary high-ISO Fujifilm 6.3MP Finepix F30. FujiFilm MS3897A is a Super CCD HR VI, the 2006 version of the technology originally announced in 1999, with the pixel size reduced to 2.7µm. FujiFilm Microdevices manufactured the chip in its Sendai, Japan, fab, using a 0.35µm, two-metal, double-polysilicon process, using p-wells in an n-substrate. EETimes: Japan Broadcasting Corp. (NHK) has developed a 33-million pixel CMOS image sensor to deliver "8K by 4K" video resolution, which Japan's largest broadcaster is promoting as Super Hi-Vision. Super Hi-Vision images consists of about 33 million (7,680 by 4,320) pixels. NHK currently uses Super Hi-Vision cameras that employ four 8-megapixel CMOS sensors jointly developed with Micron Technology Inc. to produce 8K by 4K video, but a full-HD resolution image sensor was the first priority. NHK researchers worked with an unnamed U.S. joint venture company to develop the image sensor and fabricate a prototype. During the demonstration, they used the image sensor to capture monochrome moving images with a 12-bit gray scale and progressive scanning. "Pixel size was kept as large as possible for requirements such as sensitivity and dynamic range," a laboratory spokesman said, adding that the 3.8 sq. um pixel was almost the same size as the 8-megapixel image sensor. 12-bit image data was divided into 16 fragments for read out. The prototype currently operates at 30fps at 125 MHz. "If the image sensor operates fast enough, we will not need to use 16-channel parallel reading out," the spokesman added. Yahoo: Omnivision announced the introduction of its new OmniPixel3 1.75um pixel technology. 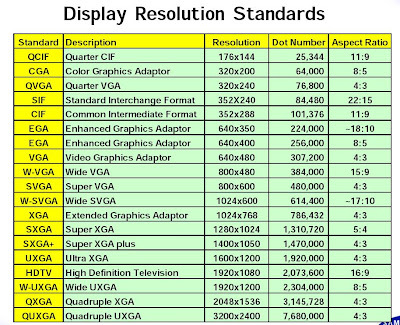 With this announcement Omnivision joins 1.75um pixel technology club, sort of. Other members of the club differ in the technology maturity: Micron and Samsung are in mass production, while ST is at the stage of technology declarations. Omnivision expects to launch its first product based on its OmniPixel3 architecture in Q3 2007. The technical side of Omnivision's announcement is quite slim: The new pixel is based on 0.11um process. Omnivision improves the efficiency of the photodiode and optimizes the pixel design for high full-well capacity - just general statements, with no numbers supplied. Also the company is using a new low-noise pixel and column sense readout. OmniPixel3 architecture optimizes pixel symmetry to avoid color distortion. The up to 20% improvement in fill factor is reported. The pixel DR is stated as 65db. Assuming the full well capacity be similar to Micron 7-8Ke, this translated to 4-5e of pixel noise. This is better than Samsung's 10e, but worse than Micron's 2.8e. The dark currem is claimed to be 30e/s at unspecified temperature - useless number. Also Omnivision uses a new transfer gate design process and contact technologies that achieve lag-free operation and new color filter technology and zero-gap micro-lens technology. Omnivision also announced that "the development of an even smaller 1.4 micron architecture already well underway." CNET reports that Kodak plans to release its own CMOS sensor in a Kodak camera and several Motorola cell phones by the end of the year. The new Kodak camera would have a Kodak-developed CMOS chip and be a 5MP camera, probably this one. It's not clear what is the sensor used in the camera-phone. The Kodak CMOS camera will be released in time for the holiday season and the Motorola-Kodak camera phone with a Kodak CMOS chip will follow close behind. "We're going to be abandoning the low-end of the digital camera business. As everyone knows, we're not making much money there. Now we have our own CMOS sensors, so you might see us going down in price because we can make money," said Kodak President Antonio Perez. "My educated impression is EyeSquad is not as good as WFC(TrueFocus), their technology is based on Fresnel lens, image quality compromise will be the #1 concern , and they don't really have the track record as OVTI in image sensor business, the best they can show now is a VGA module, and at that resolution you don't really need digital autofocus." The blog has quite a detailed Omnivision news coverage. PRWeb: Ex-Avago Dr. Yuen-Shung Chieh has joined Fairchild Imaging as VP of Engineering. Most recently Yuen-Shung Chieh was an R&D Director at Micron where he led his engineering team in the development of CMOS mobile imaging sensors. Prior to that, he held various technical and management roles, including R&D manager, for the CMOS imaging business in Agilent Technologies and later Avago Technologies. Alexima and Awaiba have been cooperating for quite a long time. Now Vision Systems Design reports that the companies have finalized a strategic agreement that will enable them to fill the void in custom image-sensor development. Aligning roadmaps, sharing intellectual property, and collaborating on product development will leverage their strengths to focus on the unique needs of individual camera manufacturers. "There are a number of large corporations focusing on consumer-orientated image sensors while neglecting the increasing demand for specialized, tailor-fitted imagers," said Alex Krymski, founder of Alexima. "Joining forces with Awaiba will empower us to satisfy the vacuum created when companies like Photobit Technology and Fillfactory were sold." "Our technical strength and experience allow us to offer innovative and cutting-edge imaging technology," said Martin Wäny, the inventor of the combined linear logarithmic response image sensors and founder of Awaiba. Both Wäny and Krymski were winners of the Photonics Spectra Circle of Excellence Award. Digitimes sources said that Micron has shifted its 8-inch capacity back to the production of standard DRAM after image sensors did not pick up as expected. 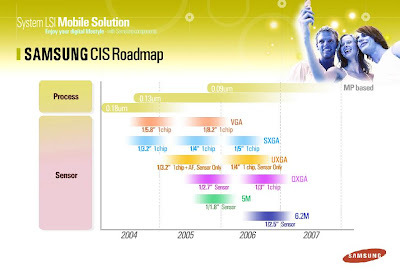 Initially Micron had shifted a large part of its 8-inch capacity to the production of CIS in anticipation of a strong handset market in 2007. But demand has turned out to be weaker than expected, the sources said. DPReview: Panasonic announced process technology to pattern an array of digital-microlenses made of an inorganic material in subwavelength dimensions. A digital-microlens can be formed by patterning digitally the inorganic material in concentric rings, which works out as a conventional onchip microlens to gather more light onto the photo diode area. The light path of each digital-microlens can therefore readily be designed according to its relative position on the image area. As a result, a uniform sensitivity can be achieved across the image area in any camera module in use. The microlens technology looks identical to one described by Panasonic on IEDM 2006. Also, Panasonic announced photonic crystal color filters made of inorganic materials for the first time. SemiSerious blog speculates that "Micron is beginning to show more signs of becoming an Intel-like force in the industry." Is so, Samsung should be equated to AMD. However, market share wise, Samsung looks a lot more sucessful than AMD. 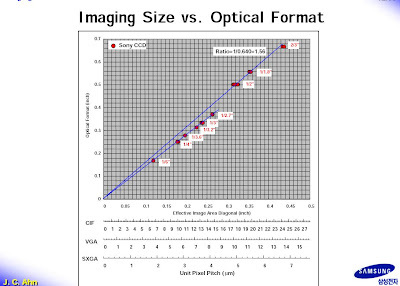 Image sensor content on 2007 VLSI Symposium in not that large. A 1.4um-pitch pixel of CMOS image sensor, which is the smallest to date, has been successfully developed and integrated into 8M density for the first time. To overcome the crucial degradation of the saturation charge and sensitivity, a novel photodiode structure extended under transfer gate and an elaborate optical design including very thin tungsten pixel routing with 65nm-grade design rules are introduced, which result in enhanced electrical and optical performance. A high sensitivity CMOS image sensor without the dynamic range (DR) trade-off has been developed by implementing the small floating diffusion (FD) capacitance in the lateral overflow integration capacitor (CS) embedded pixel circuit. A 1/4-inch VGA chip fabricated through 0.18-um 2P3M process achieves 200-uV/e- conversion gain with 100-ke- full well capacity, 2.2-e-rms noise floor and 93-dB DR. The S/N ratio degradation at the detection node switch from FD to FD+CS is not visible. As it sounds from the abstract, TI's idea is limited to non-shared 4T pixels. If true, its pixel size scalability is poor, relegating it to security, automotive and other niche markets. Siliconfile applied for a patent for a SiGe diode based sensor. Germanuim has a very short absorption length for visible light, so red and green crosstalk for small pixels should be much better. However, SiGe dark current is too high. I doubt that anything useful comes out of this. Neat idea, anyway. Update May 14, 2007: There is another Siliconfile application detailing the idea. "BitsDReam begins by instructing a sensor to collect multiple exposures of varying integration time within a single master frame that is delivered to the camera at a fast frame rate. BitsDReam then takes one of two paths. For AltaChrome sensors with embedded iSoC modules, BitsDReam consolidates the exposures directly on the sensor chip. For AltaChrome sensors needing camera support, BitsDReam enables simplified camera-based fusing of the multiexposure data (field-stitching of the individual bytes of image content)." Yahoo: Altasens announced availability of its technology for delivering full-rate HD video with high DR (HD-HDR = HD2R). The option is available as a programming option in all its newly introduced AltaChrome imaging SOC (iSoC) sensors. The sensors already have 12 to 14 bits output, while BitsDReam technology boosts dynamic range to 14, 16, or 20 bits, depending on the programmable setting. Current AltaChrome sensors supporting BitsDReam HD2R readout with at least 14 bits of readout include resolutions of 2.2 (model 3372), 4.5 (5262), and 8 megapixels (8472). Slated for release starting in mid-year are sensors with additional iSoC updates that will provide for the option of reading out either linear data, with a depth of up to 28 bits, or gamma-compressed data having a more modest bit depth. BitsDReam seamlessly maintains progressive video frame rate of at least 15 fps – even at 4.5MP resolution, as in the case of the new 1/3-inch AltaChrome 5262 sensor, targeted for consumer HD applications. Depending on the sensor model it is used with, the BitsDReam feature is either fully embedded in the iSoC or it requires some camera support to deliver full performance. To me this sounds like a double exposure technique, similar to Toshiba WDR one. Generally speaking, I always liked Altasens technical creativity. The only problem with Altasens is that it's using old 3T pixel technology, which limits the applications and markets its sensors can penetrate. Digitimes: Powerchip Semiconductor Corporation (PSC) has announced a plan to spin off its current 8-inch fab (Fab 8A) to a 100% PSC held company, Maxchip. PSC said the action would help introduce other strategic customers and partners. According to PSC, Fab 8A's "business value" is NT$7.5 billion (US$225 million). Fab 8A runs at a monthly capacity of 40,000 wafers. Key production at this fab includes CMOS image sensors, NAND flash, specialty DRAM and LCD driver IC. PSC company executives also mentioned that Maxchip may list on the stock market if profitability is good in the future. 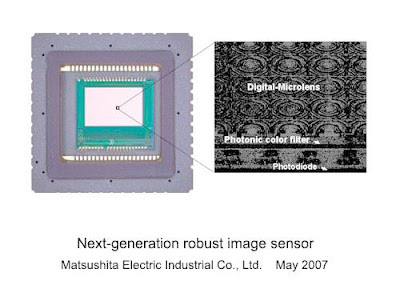 Fujikura Ltd. (Japan) has developed a pair of processing technologies that can make image sensors in smaller, thinner formats for the camera modules of mobile phones. The claim is that using Fujikura's processing technologies, these devices can be made half as thin and just two-thirds the surface area of existing versions. In general, the new process enables production of devices with thicknesses of merely 150-200 microns. As soon as next fiscal year, the company plans to solicit business for its processing technologies from manufacturers of camera modules. The first technology involves drilling holes in the image sensor chip and filling them with metal to create through-hole interconnects. Electrodes can then be placed on the underside so the chip can be mounted directly above the electrodes on the board. The second technology involves sealing the chips in resin and then slicing them, a method known as wafer-level packaging. Iain McClatchie wrote a nice explanation of image sensor DR expansion possibilities (link 1, link 2). EDN reviews various EDOF soultions for camera phone modules, including Dblur, Eyesquad-Tessera and CDM Optics-Omnivision. The presentations are mostly marketing, but sitll contain quite interesting data.